The fabulous Shelly from Tropical Mum has come up with a brilliant linky idea. This week I've picked my very favourite scene from one of my very favourite movies. It makes me laugh every.single.time! Oh yes, Hugh...I want more...more....more!! Unfortunately, you'll have to click on the link because embedding has been disabled. But here's something to look at before you do. 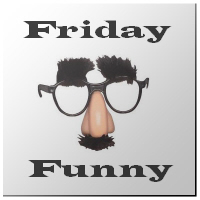 Have a funny Friday...in a good way! Be sure to click on the button for some more giggles. haaha - I think I may even have snorted at that one. Can't believe I've never watched that before -is the rest of the movie as funny? Hehehe I love this movie, I watch it every Christmas, it's so romantic and just lovely.